An aquatint engraving by Richard Reeve and John Buckler after the drawings of Buckler, published in Surrey in 1811. Richard Gilson Reeve (1803-1889) was an aquatint engraver best known for his sporting, marine and topographical subjects. He was born in London and spent his working life in the city engraving after his contemporaries. His career coincided with the rise in popularity of the aquatint and his work was constantly in demand. 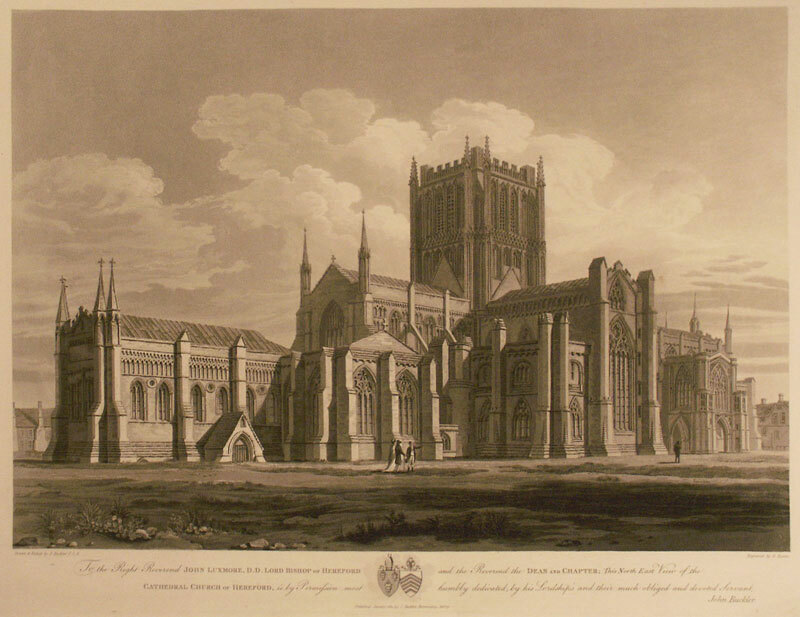 This view of Hereford Cathedral captures the beauty of its architecture at a time when many people toured the country in search of the picturesque and interest in English topography was reaching new heights.